In a small bowl, whisk together ketchup, sugar, soy sauce, lemon juice and chili. Line a baking tray with aluminum foil (for easy clean up later on). 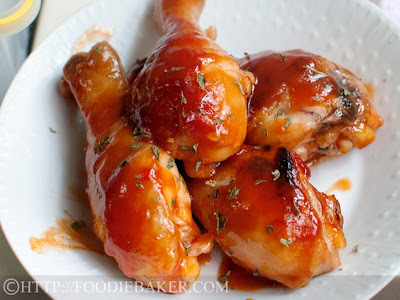 Rinse the chicken drumsticks and pat dry with paper towel. through until the chicken are cooked.